If you think Amazon Prime is a reasonable deal at $99/year, imagine being a college student who only has to pay half that amount. Apparently, so many college students are using the service that school mailrooms are being overwhelmed with smiling cardboard boxes. That appears to be the case at the University of Connecticut, where the college’s student newspaper recently reported that the local post office has been receiving 3,000 packages per day headed for campus, at times leaving employees stuck at the office until 3 a.m. The Daily Campus pinned much of the city and campus mailroom issues on students’ use of Amazon and its Prime member service. 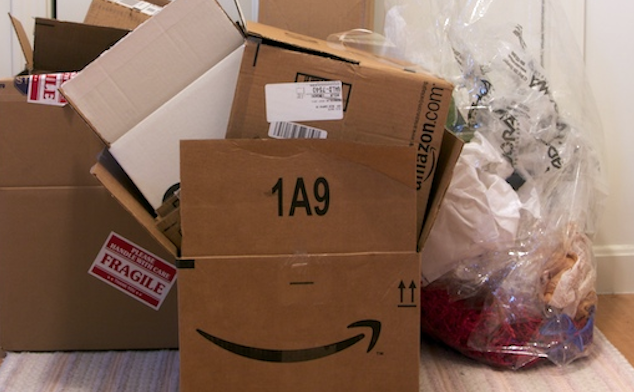 A spokesperson for the college told the paper that “about half” of all packages coming to the campus are from Amazon. Exacerbating the influx of packages to the campus is not only the discounted Prime membership status for students, but the need to purchase books that, at times, professors only make available through the online retailer because of price differences. And although Amazon Prime promises customers one- or two-day delivery of packages, officials with the University say the flood of deliveries has caused a backlog of sorts. At the time of the Daily Campus report, staff was working to catch up on the previous day’s mail late into the afternoon the following day. In an effort to alleviate some of these issues – overcrowded mailrooms, long shifts, and late packages – the University plans to overhaul its own mailroom procedures. While the school seeks to find a long-term solution, immediate changes to streamline package processing include installing additional shelving and providing more access for staff to view and retrieve deliveries. Permanent fixes being explored incorporate the creation of a central sorting location – a system already in place at other colleges to more efficiently handle the new normal of large volume package deliveries.